In recent years, Spanish insurance law has entered into a process of renovation in order to implement the latest EU Directives enacted in the field. Thus, following the transposition of the Solvency II Directive, which clearly affected the framework applicable to insurance and reinsurance companies, the Spanish parliament is currently working on a law that will transpose the new European requirements related to the activity and performance of insurance brokers and dealers. On the other hand, an increasing amount of litigation in fields such as damages and civil responsibility has led to the consolidation of relevant judicial interpretations in matters such as the interest on arrears applicable to insurance companies, the consequences of an incomplete risk declaration by the insured party, or the effects linked to the non-payment of one of the instalment payments of the premium. 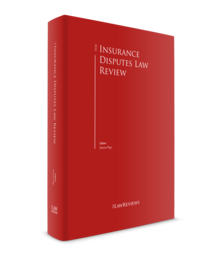 In the Spanish legal system, insurance law is dispersed among a great variety of laws and regulations, a profound analysis of which would far exceed the scope of this chapter. For this reason, only the most relevant ones will be addressed below. The access conditions and performance of insurance companies' activities are mostly regulated by Law 20/2015 of 14 July on the management, supervision and solvency of insurers and reinsurers, and Royal Decree 1060/2015 of 20 November on the management, supervision and solvency of insurers and reinsurers, which develops it. These regulations are the result of the transposition by the Spanish legislator of the provisions set out in Directive 2009/138/EC of the European Parliament and of the Council of 25 November 2009 on the taking-up and pursuit of the business of Insurance and Reinsurance (the Solvency II Directive). Consequently, it can be said that in this area Spanish law is harmonised with the remaining European Union Member States. The Spanish regulation of insurance mediation and distribution activities can be found, at the time of writing, in Law 26/2006 of 17 July on private insurance and reinsurance mediation. However, it must be pointed out that a new law, which will repeal it and incorporate the provisions set out in Directive (EU) 2016/97 of the European Parliament and of the Council of 20 January 2016 on insurance distribution, is currently in parliamentary process. Furthermore, it should be noted that Commission Delegated Regulation (EU) 2017/2359 of 21 September 2017 supplementing Directive (EU) 2016/97 of the European Parliament and of the Council with regard to information requirements and the conduct rules applicable to the distribution of insurance-based investment products recently entered into force. This regulation is directly enforceable in Spain, as it is in all other European Union Member States. Finally, with regard to the regulation of the different types of insurance contract, the predominant role of Law 50/1980, of 8 October, on Insurance Contracts (LCS) should be highlighted. This law contains both the general principles that apply to all kinds of insurance contract and the specific provisions governing the main types of insurance contract that exist in Spain (e.g., damage insurance, civil liability, fire, life, sickness). In short, this is the main law in this area and most insurance litigation is based on its provisions. Nevertheless, in Spain there are also other relevant laws and regulations that develop the legal regime applicable to some specific kinds of insurance contract. This is the case, for example, of civil liability insurance in respect of the use of motor vehicles (motor insurance), which is regulated in Royal Legislative Decree 8/2004 of 29 October approving the restated text of the Law on civil liability and insurance in the circulation of motor vehicles, and Royal Decree 1507/2008 of 12 September, which approves the Regulation of mandatory civil liability insurance regarding the circulation of motor vehicles. Likewise, there are specific provisions in other regulations for ship or aircraft insurance contracts, civil liability insurance for nuclear damage, civil liability insurance for oil pollution and export credit insurance. is tangible, has an economic value, and can be valued based on actuarial and experience criteria. Only in this case can the insurance premium, which constitutes an essential element of the insurance contract, be calculated. Spanish law establishes that a person can enter into an insurance contract on his or her own behalf and self-interest or on behalf of and for the benefit of third parties (Article 7 LCS). Nevertheless, as is stated in Article 25 LCS (damage insurance) and Article 83 LCS (life insurance), the validity of the insurance contract is subject, in any case, to the existence of a legitimate interest of the insured party. Spanish insurance law is characterised as being protective of the rights of the insured parties. For this reason, it does have special provisions that, in some cases, force the parties to initiate extrajudicial procedures before bringing a claim before the courts. if no agreement is reached, a third expert is appointed by the parties so that in 30 days (or the term agreed upon) the three experts may issue a final report (unanimously or with a majority vote) that will be binding for the parties unless challenged in court. It is only once the report has been issued that, in the case of any of the parties disagreeing with it, it may be challenged within the proper time frame in a judicial procedure (Supreme Court Judgment No. 536/2016 of 14 September). Another example of these special provisions can be found in the area of civil liability regarding the circulation of motor vehicles. Concretely, Article 7 of Royal Decree 8/2004 states that the injured party must file an extrajudicial claim with the insurer requesting compensation and providing information about the incident. The insurer must respond within three months with a reasoned compensation offer or a duly motivated response explaining the reasons why it understands that compensation is not warranted. Notwithstanding the above, apart from these specific examples, Spanish law grants freedom to the parties to use the conflict resolution mechanism they deem appropriate for their interests and needs. That is, even if the reality of the market shows that conflicts in the insurance field are usually brought before the court system, parties are free, once the extrajudicial proceedings described previously have taken place, to bring the disagreement before alternative conflict resolution mechanisms (e.g., conciliation, mediation or arbitration). 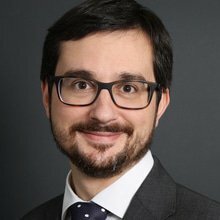 It should be pointed out that for a dispute to be validly brought before arbitration, in Spanish law both parties must consent. In this Section, the most relevant and recurring judicial decisions on insurance law will be addressed, paying special attention to those occurring in the past 18 months. Under Spanish law, 'risk restriction' clauses are those that specify the risk insured in the policy (i.e., they configure and describe the object of the insurance contract) as opposed to the 'rights restriction' clauses, which are those that restrict or modify the rights of the insured party to seek compensation once the damaged has been caused. that the policyholder must expressly accept these clauses in writing. However, this does not mean that each clause must be individually signed. As the Spanish Supreme Court has clarified, this requirement will be met if the policyholder signs the specific conditions of the policy. Article 10 LCS, among others, establishes that the policyholder has the obligation to declare to the insurer all the known circumstances that could affect the risk assessment through the questions it may ask, before the signing of the contract. This is so that the insurer may properly assess such risk and calculate the premium insurance. However, as the Supreme Court reiterated in its judgment No. 323/2018 of 30 May, the Spanish courts have repeatedly asserted that the insured party will not be negatively affected by the lack of a risk declaration in the following scenarios: (1) in those cases in which the insurer has not conducted any questionnaire about the insured risk; and (2) in those cases where the information supplied by the insured party is incomplete as a consequence of an ambiguous or generic questionnaire. Additionally, in judgment No. 273/2018 of 10 May, the Supreme Court also determined that the filling in of the health questionnaire regarding risk assessment in life insurance contracts is a strictly personal act of the insured party. Consequently, even if Spanish law allows for an agent to take out a life insurance policy in favour of its principal, the manifestations that this agent may make regarding the health questionnaire would not be binding unless it is proved that it was part of a fraudulent endeavour to avoid a proper risk declaration by the insured party. For an insurance contract to be valid, Article 4 LCS requires the risk to exist or the damage not to have been caused at the time the contract was entered into. This circumstance has generated an increasing volume of health and life insurance litigation. These are conflicts in which it is not unusual to find the risk declaration contemplated in Article 10 LCS. For instance, in judgment No. 426/2018 of 4 July, the Spanish Supreme Court nullified a health insurance policy in which, although the insurance company had not conducted a health questionnaire with the insured party, it was proven that the disability declaration issued after the signing of the policy had been caused by an illness diagnosed before the policy was entered into. In this regard, the court considered the lack of a questionnaire to be irrelevant since the problem was not related to a defective risk declaration but to the inexistence of the element of chance inherent to any insurance contract. Similarly, in judgment No. 279/2018 of 18 April, the Supreme Court considered irrelevant that the risk restriction clause was not highlighted, since the insured party's injury had been caused by an accident that took place before the signing of the contract. Article 73 LCS paragraph 2 establishes that, in relation to civil responsibility insurance, the parties will have the possibility of including rights restriction clauses that circumscribe the insurance coverage to situations where the injured party's claim: (1) has been submitted in a period of time, either not less than a year after the termination of the last extension of the contract or, failing this, from its duration period ('future coverage'); and (2) is submitted during the policy's validity period, as long as the coverage comprises the scenarios in which the obligation to compensate has arisen at least one year from the beginning of the contract's effects, even if the contract is subsequently extended ('retrospective coverage'). In judgment No. 252/2018 of 26 April, the Supreme Court (in full committee) set as jurisprudential doctrine that the above-mentioned Article 73 LCS regulates two different risk restriction clauses, each one with its own time-related coverage requirements. Consequently, to admit the validity of future coverage clauses, retrospective coverage is not an additional requirement, and vice versa. Additionally, in judgment No. 134/2018 of 8 March, the Supreme Court established, in relation to the burden of proof, that it is the insurer who has to accredit the existence and content of the 'claims made' clause in which it denies coverage. Article 76 LCS establishes, in the field of civil responsibility, that: (1) the damaged party (or its heirs) may bring a direct action against the insurance company to demand the fulfilment of the obligation to compensate; and (2) the insurer may not deny payment by citing the exceptions that may apply against the insured party. the insurer will not be able to deny its obligation to pay based on exclusion clauses that rely on the severity of the harmful conduct of the insured party (e.g., driving under the influence of alcohol or drugs, the accreditation of wilful misconduct). These would be personal exceptions and would not be effective against the damaged party. This being said, the Spanish courts have clearly established that the regime set out in Article 76 LCS cannot operate as a mechanism for the damaged party to obtain an unjust enrichment. This is why, as the Supreme Courts reiterated in judgment No. 87/2015 of 4 March, the insurance company may also rely on exceptions that could exist between the insured party and the damaged party (e.g., the existence of a previous payment from the insured party, a waiver from the damaged party against the latter). In addition, as the Supreme Court judgment No. 52/2018 of 1 February 2018 highlights, Article 76 LCS also does not protect those cases in which the damage claimed has been caused by the misconduct of the injured party who now claims compensation. Article 20 LCS determines, in general terms, that the insurer in default3 is obliged to pay the insured party compensation equivalent to the legal interest rate (at the moment such interest is accrued4) increased by 50 per cent over the base amount, or the compensation to be paid, from the date of the accident until the payment is made. Additionally, if two years elapse from the date of the accident, this interest in arrears may in no circumstances be under 20 per cent. This compensation, according to the applicable legal framework, will only be unenforceable if the non-payment of the compensation or the minimum amount was based on a justified cause or if it was not attributable to the insurance company. As may be gathered, Article 20 LCS establishes a notably burdensome compensation regime for insurance companies. Thus, it has not been unusual to see proceedings where these entities argue that their opposition to the payment was based on a justified cause and, therefore, interest in arrears were not applicable. Over the course of numerous judgments (among the most recent ones, we must highlight: Supreme Court Decision No. 26/2018 of 18 January, No. 143/2018 of 14 March, No. 317/2018 of 30 May, No. 199/2018 of 10 April and No. 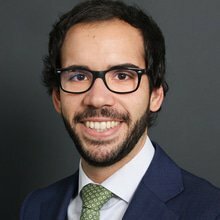 70/2018 of 7 February), the Spanish Supreme Court has established certain criteria regarding what can be considered as a 'justified cause' and the meaning of 'not attributable'. For example, it is now a consolidated criterion that, in order for the insurance company's opposition to be considered justified, its substantiation and the considerations made by the first instance court must be examined, without the mere fact of taking the case to the courts constituting proof that a justified reason for delay exists. Similarly, the fact that the insurer had made an offer to the insured party conditional on the waiving of any legal action (and which was not accepted by the insured party) will not be considered an exonerating cause. On the other hand, in line with Article 20 LCS, the Supreme Court in full committee (although with one dissenting vote) established, in judgment No. 64/2018 of 6 February, that Article 20 LCS was applicable to a health insurance company declared civilly liable for medical malpractice. Insurance premiums, under Spanish law, are considered to be single and indivisible because the insurer withstands the whole risk during the whole contract and not in fractions of time. This is notwithstanding the fact that the parties may agree for payment to be made in instalments. Article 15.2 LCS determines that, in case of default of an insurance premium after the first annuity, 'the coverage is suspended a month after the due date'. Taking into account these two circumstances, some judicial and doctrinal sectors defended the theory that, even though some of the insurance premium instalment payments were in default, such defaults were irrelevant to the effects of Article 15.2 LCS until the due date of the last instalment payment. Nonetheless, this theory has been rejected by the Supreme Court, which has established as jurisprudential doctrine that, in these cases, from the moment in which the first instalment is unpaid, the suspension of coverage under Article 15.2 LCS is automatic (judgment No. 684/2017 of 19 December 2017). The jurisdiction of the Spanish courts to hear cases in which the dispute has arisen between different members of the European Union is determined in accordance with the rules set out in Articles 10 and following of Regulation (EU) No. 1215/2012 of the European Parliament and of the Council of 12 December 2012 on jurisdiction and the recognition and enforcement of judgments in civil and commercial matters. both contracting parties have submitted to the Spanish court's jurisdiction before the dispute arising, and the claimant was the insured party or the policyholder. Once the jurisdiction of the Spanish courts to rule on an 'international' matter has been established, the applicable law to resolve the dispute will be determined, generally, by Article 7 of Regulation (EC) No. 593/2008 of the European Parliament and of the Council of 17 June 2008 on the law applicable to contractual obligations (Rome I); or the private international law provisions contained in Articles 107 to 109 LCS. Consequently, in general terms, LCS will be applicable to those casualty insurance contracts in which the risk is located in the Spanish territory and the policyholder has his or her habitual residence there (if it refers to a natural person) or its registered office or administrative management headquarters (if it refers to a legal person). Furthermore, the LCS will also be applied when the contract has been entered into in order to fulfil an insurance requirement imposed by a Spanish law. Additionally, with regard to life insurance, LCS will be applicable: (1) when the policyholder has their address, habitual residence or effective administration or direction in Spanish territory; (2) when, with the policyholder having Spanish nationality but being resident in another state, it was agreed with the insurer party; or (3) when the life insurance policy is collective and has been entered into to fulfil a requirement or as a consequence of a job subjected to Spanish law. Finally, in large risks insurance contracts,5 it is established that the parties will be free to choose the applicable law. In the immediate future, the quantitative and qualitative relevance of the disputes in the traditional sectors of the insurance market (motor vehicles, health, civil responsibility) will continue. Similarly, as a result of the financial crisis suffered in recent years, directors' and officers' liability insurance will continue to generate litigation. In addition, the social reality demonstrates that there are new needs for which the insurance market is trying to provide coverage. In this sense, the damages caused by use of drones, the insurtech sector, cyber risks and the new means of transport found in big cities (e.g., electric scooters) could be a source of new judicial conflicts. Finally, from a regulatory point of view, we should not lose sight of the impact and evolution that the new requirements resulting from the transposition of the latest European regulation on the activity of insurance brokers and dealers may have. 1 Julio Iglesias Rodríguez is a counsel and Francisco Caamaño Rodríguez is a junior associate at Uría Menéndez. 2 This was recognised as being mandatory in the Supreme Court Judgment No. 747/2009, of 11 November. 3 This will occur when the payment has not been fulfilled within three months from the date of the accident, nor has the payment for the minimum amount been fulfilled in the 40 days following the notification of loss. 4 The legal interest is currently 3 per cent. 5 Defined by Article 11 of Law 20/2015 of 14 July, on the organisation, supervision and solvency of insurance and reinsurance companies.